Each day you use your crane and hoist to lift your business to the next level. Your customers and clients depend on you to deliver your service and product with affordable precision. 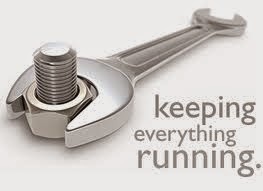 Co-workers and employees trust you to provide safe well maintained tools and equipment. Performing the necessary periodic inspections in addition to daily safety inspections of chains, motors, wiring and hooks provides immediate protection from preventable workplace injury, damage and repairs. All cranes are not created equal. Does a single girder crane with a two mph motor require the same maintenance as a multiple girder crane with a five mph lift capacity? This is information you can discuss with your service and inspection provider to make sure you're doing everything possible between the inspections to keep your crane in optimal condition. All jobs are not created equal. The wear and tear on your machine is directly connected to what you’re lifting and how often you lift each load. Hoisting large metal frames is going to create different points of tension and wear down different parts than transporting large bales of fabric and pallets. Using wire ropes instead of slings will change the type of maintenance and frequency of the parts you inspect and service. Duty cycle of your crane and hoist must be considered when creating a maintenance and inspection schedule. Finding problems to prevent is much more cost effective than repairing breakdowns. When to maintain and inspect your overhead crane and hoist should be as customized based on the duty cycle of both pieces of equipment since they are used as a unit. Whether you're overhead crane was customized by a full service crane and hoist provider like Ace Gaffey or built from a kit minimum maintenance and inspection requirements are set in place by the manufacturer. Inspections for hoists and chains should be performed daily before the first use and periodic inspections according to OSHA guidelines. It seems there's a lot of work in getting a crane. I run a construction company, and we're considering simply buying a crane instead renting one. The numbers seem to add up for it so why not? It might be more expensive than we considered, but it's a valuable asset to have in the company. I agree that it is important that your crane receive proper maintenance. That is why is should be regularly inspected to ensure that it is functioning as it should. It could be really bad for a company to have their crane stop working. I have often seen these large buildings going up and an industrial sized crane near by. If that crane malfunctions for even part of the work day, everything essentially stops. That is a hard adjustment to correct when you are responsible for putting up a building.